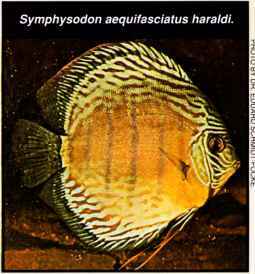 Hobby discus can be divided into two types. There are the wild-type discus and tank-bred varieties, or hybrids. 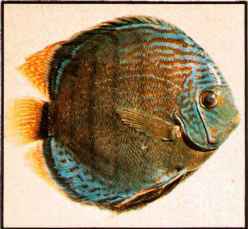 Sometimes the wild-type are also wild-caught, but sometimes they are the offspring of pure wild stock that have not been crossed with other types of discus. A wild brown discus, Symphysodon aequifasciatus axelrodi, caught at Belem. 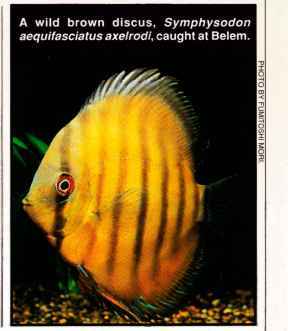 One of the original specimens of Symphysodon discus willischwartzi from the Rio Abacaxis. Symphysodon aequifasciatus aequi-fasciatus collected by Dr. Herbert R. AxelrocJ at Tefe, Brazil. 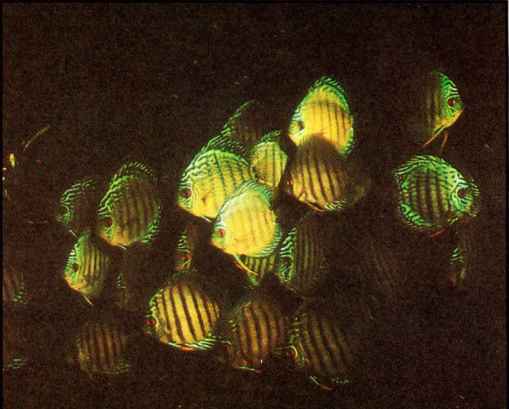 Young discus are quite social animals and will stay together in a loose school. categories, there is a great variety in shade of color, pattern, and body type. 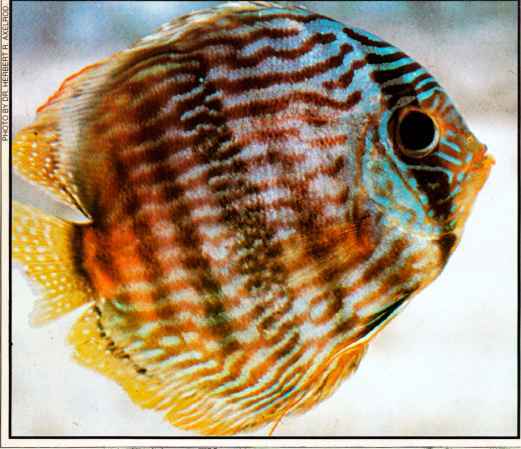 Many times I have been at a loss as to whether a fish was a dominant brown discus or a submissive blue discus. It's not so simple, and for our purposes in learning how to care for discus, not really important. What is important is that the Heckel discus is a bit more delicate than the other wild discus and that wild discus require a bit more care before they settle down in your tanks than hybrid, tank-bred discus.